Obituary for Paul Baird Welykoridko | Philip D. Rinaldi Funeral Service, P.A. 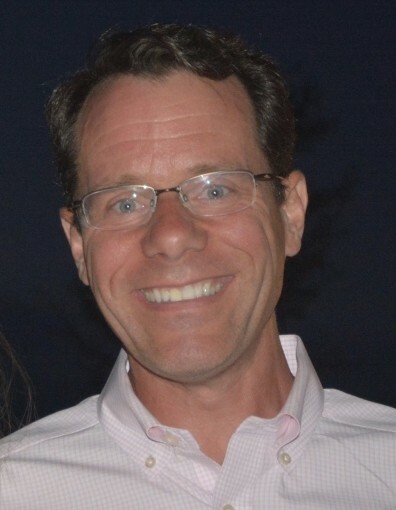 Paul Baird Welykoridko of Glenwood, Maryland passed away peacefully at the age of 47 on Wednesday, March 27, 2019 surrounded by his family. Paul is survived by his loving wife of nearly 18 years Catherine a.k.a. Kate Welykoridko; three beloved children, Ainsley (15), Baird (14) and Maddie (11); his parents Serhij and Mary Ellen Welykoridko; his sister Anne Wittenborn (William); his mother-in-law Eileen Schwab; Kate’s brother and sister, Matthew Schwab and Claire Vogel (Stephen); his nephews Walker Wittenborn and Owen Vogel; his niece Peyton Wittenborn; his faithful dog Lulu; and many life-long friends. He is predeceased by his father-in-law Terrance Schwab. Paul was born on June 21, 1971 in Trenton, NJ. He graduated from The Hun School of Princeton in 1989 and then Roanoke College in 1993 with a degree in International Relations and Affairs. He earned his MBA at Baruch College in 2003. Paul and Kate married in 2001 and joyfully welcomed three children into the world, whom he adored and loved immensely. In their own words, he is remembered by his children as a kind, gentle, patient man, a cheerful, artistic, funny optimist, an encouraging, supportive, loving father and a strong, smart, driven fighter who inspired them to pursue their dreams and, through his actions, taught them to never give up. Paul defined warrior and was the epitome of grace. His legacy is huge. He was simply amazing. Paul began his financial services career as an Associate Financial Consultant in 1993 at Merrill Lynch in New York City. He joined their Retirement Services Group in 1996, climbing the ranks to Director, Head of Investment Products Group. He also enjoyed many great years at Morgan Stanley. Most recently, he moved to T. Rowe Price working as a Product Manager in Retirement Plan Services in Owings Mills, Maryland. Relatives and friends are invited to attend his viewings Wednesday, April 3rd from 1:30 p.m. –5:30 p.m. and Thursday, April 4th from 10 a.m.–11 a.m. at The Orthodox Church of St. Matthew, 7271 Eden Brook Drive, Columbia, Maryland 21046. His funeral mass will be held Thursday, April 4th at 11 a.m. at The Orthodox Church of St. Matthew, 7271 Eden Brook Drive, Columbia, Maryland, 21046. Interment will follow at Crest Lawn Memorial Garden, 2150 Mount View Road, Marriottsville, Maryland 21104. Family was the most important part of Paul’s life. In lieu of flowers donations are requested to a memorial fund that has been established for his beloved children. For more information please visit: https://www.gofundme.com/f/in-loving-memory-of-paul-baird-welykoridko. Donations can also be made to the Kidney Cancer Association: https://www.kidneycancer.org/donate/.